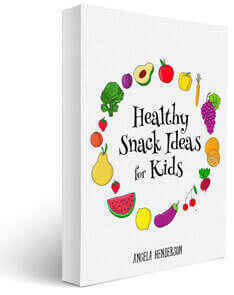 Make packing healthy, wholesome and variety-filled lunches easy and fun with the stunning Apple and Mint kids lunch bag. Featuring a snazzy deep blue lightning bolt and coordinating edging, these reusable lunchboxes are a hit with kids of all ages. Apple and Mint kids’ lunchboxes feature modern designs with practical styling that makes the lunch bag a go-to choice for modern mums. 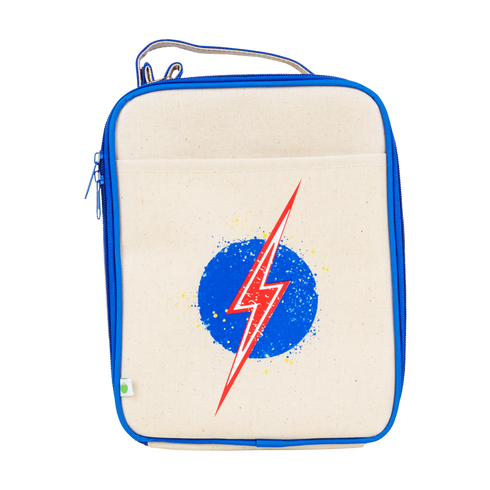 This delightfully trendy and vibrant deep blue coloured lunch bag featuring a jazzy lightning bolt on the front will be a surefire winner at your home. You’ll love that the patented icy cold freezable cooling panel, that has its own back compartment and stays away from food, will keep lunches fresh and chilled for up to 8 hours. No more browning fruit or soggy sandwiches! A stunning modern design and made from BPA/PVC/lead-free, easy-to-wipe-clean material, Apple and Mint reusable lunch bags are a must for this school season. Spacious and roomy with an interior mesh pocket for extra storage, these lunch bags are truly versatile and perfect for taking with you on road trips, air travel or even, to the park! Your kids will love the smart, gender-neutral lightning bolt design on the front and the easy-to-use style which makes having lunch more fun than ever.